He quickly scrawls the ROI of automated manual transmissions (AMTs) as an example of a recent truck technology that has finally gained mass adoption with 80%+ build rates across all OEMs. “I tell customers that an AMT is going to save them 1% fuel economy, and adoption still took a decade because we had to get trucks through a four-year cycle. Fleets wanted to see how much of their initial investment they also got back on the used market. It’s an interesting technology that basically took two cycles—eight years—to get to the critical mass and hit a tipping point. “All right, so back to an electric truck.” He draws another ROI calculation column next to the AMT column and labels it “Electric Vehicle.” But where the AMT column had hard monetary costs, Troy fills the Electric Vehicle column with a lot of question marks. “Then, we have the last two questions: What’s the residual value of a truck, and what’s the ownership cycle? Do you still plan on selling your rig in four years? What if the cost of an electric tractor was $250,000, but the operating costs were 50% lower, and it fit into your business model? What if the maintenance cost was less because there are fewer moving pieces; would you keep it for 10 years? 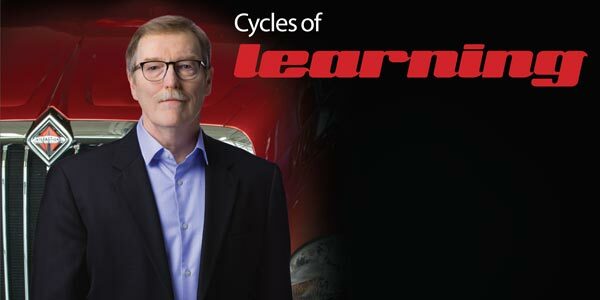 Navistar’s perspective on emerging technologies is perhaps the most nuanced in the industry. The variables that orbit electric trucks, automated driving systems and beyond are hauntingly similar to the unknowns of the late 2000s SCR/EGR era—environmental-driven technology development, changing equipment operations, and a potential impact on the service costs and processes. After its EGR missteps, the manufacturer clawed its way back to profitability last year and isn’t likely to forget the lessons of the past. Troy believes that profitability could have happened sooner, but Navistar made the decision to invest in the development of new products that have rolled out over the past two years. The refresh of International’s entire lineup that included new regional haul (RH Series) and long-haul (LT Series) models culminated in its foray into the Class 4 market with the CV Series and included a new engine with the 12.4-liter A26. Troy is focused on keeping the momentum moving forward. So how is Navistar going to do that? There are two main tent pole tactics that Troy identifies as market share-gaining drivers: uptime and focusing on customers’ segments, as opposed to product segments. 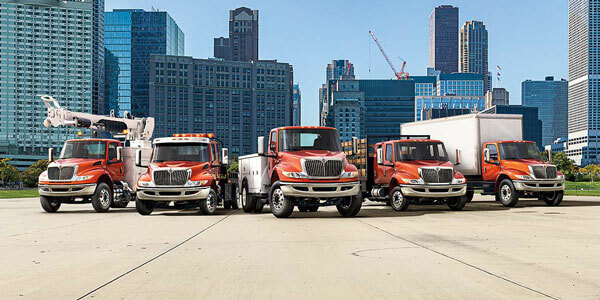 While the entire industry is focused on uptime, Navistar’s open platform telematics and remote diagnostics platform, OnCommand Connection, enables a fleet to bring all of its trucks under one OEM-backed telematics dashboard. Moving forward, integrating service data and building a maintenance history is the next step in providing increased uptime. The goal is to provide visibility into the service needs of the truck to know that if you’re fixing a battery-related issue for the third time at a third service location, then you have visibility into that and do a proper root-cause analysis that also leverages the data. After amassing that data, Navistar will be able to support its OnCommand Connection Live Action Plans, a feature that aims to predict when a part is going to fail before it actually does. The second tactic is customer segmentation—that means developing a deeper sense of the customer’s needs and challenges and then presenting solutions. Troy’s focus is to foster a deeper relationship with his customers with the goal of becoming an equipment consultant, which leads us to the third lesson. 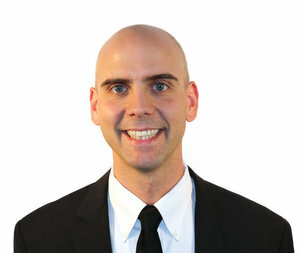 RELATED: Hear what Troy Clarke has to say about Navistar’s strategic alliance with Traton Group here. 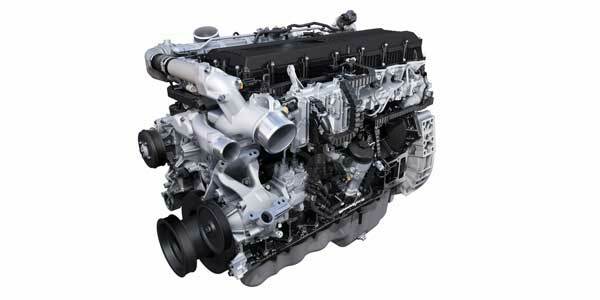 In-development truck technology grabs lots of headlines. Data-driven solutions are talked about in sweeping, business-changing ways. Efficiency gains, total cost of ownership, return on investment—there is no shortage of talking points in the industry, but at the end of the day, you have to be able to trust the person you’re working with on the other end of the table, phone or screen. To make the equipment solutions of tomorrow work, Troy knows that it is going to take collaboration and a deep mutual trust with customers. “Think about the prospect of an automated truck. When I look automated driving technology, right now, it’s a pretty brute force approach. Yeah, there is AI that developers are testing, and testing, and testing; observing, and observing, and observing to create AI profiles. At the end of the day, that system needs to be integrated into not just the truck, but it also needs integrated into the transportation system. “But the real question is,” he pauses just long enough to let the moment hang in anticipation, “how does it fit into the fleet’s business model? We’re going to go through the cycles of learning to understand how these things impact our customers, and we’re going to go through these cycles together. We’ll learn what the real total operating costs are. “And the cool thing is, as we’re in this period of growth [at Navistar]. We have one of the most, if not the most, contemporary product lineups in the market today with the advantages and selling points that support our desire to increase market share and revenue. That will help create shareholder value, and allow us to experiment and invest in technologies like electric trucks.